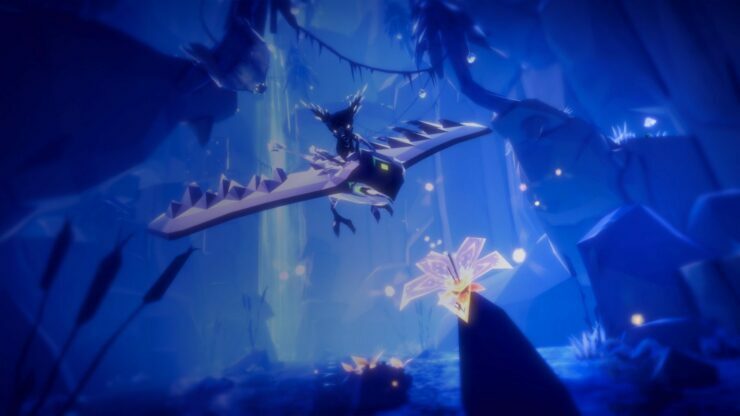 Fe, the upcoming platform adventure game developed by Zoink Games and published under the EA Originals label by Electronic Arts, is now just three weeks away from release (in fact, you may already pre-order the game at $19.99 for PC, PlayStation 4 and Xbox One). With its gorgeous, fairy-tale like visuals, Fe easily garnered our attention as one of our most anticipated adventure games due this year. As such, we simply had to learn more about it straight from the folks at Zoink Games and we set up an interview with Game Director Andreas Beijer. We’ll have the full article up tomorrow for your purview, but in the meantime we wanted to share the technical specs you can expect for Fe. The game is listed as Xbox One X enhanced on Microsoft’s official list and Zoink Games confirmed to Wccftech that it runs at native 4K resolution and 30 frames per second on Microsoft’s console; on the other hand, PlayStation 4 Pro will run the game at 1260p (2240×1260) and 30 frames per second. Discover a world worth exploring. Climb, glide and dig your way through a dark Nordic forest and explore its living, breathing ecosystem filled with secrets and mystical creatures. Speak the language of the forest. At the heart of the experience is a tactile, analogue song mechanic that allows you to communicate with every living thing in the forest – even plants. Have birds guide you, bears fight for you and have plants grow berries that help you overcome the Silent Ones. Defeat the Silent Ones. While the forest is an astounding place, the Silent Ones are threatening this magical world’s harmony. To make it a home again, you must stop them.